If you are an adventure junkie and love to travel the world, why not consider Peru for your next vacation. Peru is located in South America and is one of the most visited countries on the continent. Peru has many hidden treasures for those who like adventure and live to see new places. So what are the best adventure holidays Peru? Here we will give you an idea for your next holiday to Peru. When we think of Peru, we think of the world famous Machu Picchu, thousands flock to the ancient site every year to see and marvel at the Inca citadel. Most go by luxury train from the Inca city of Cusco. However, did you know that you could also walk to Machu Picchu, yes walk. 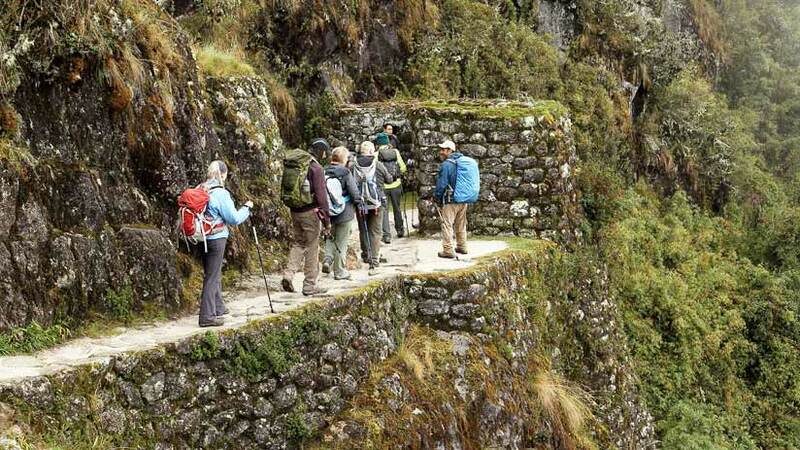 Adventurers from all over the globe come to Peru every year to hike the famous Inka Trail. The trail is four days of let’s face it, hard work, you will walk up mountains that will take your breath away, then back down, trails that feature steps that is a little hard on the knees. However, the rewards are many with the hike featuring many fascinating Inca ruins along the way. 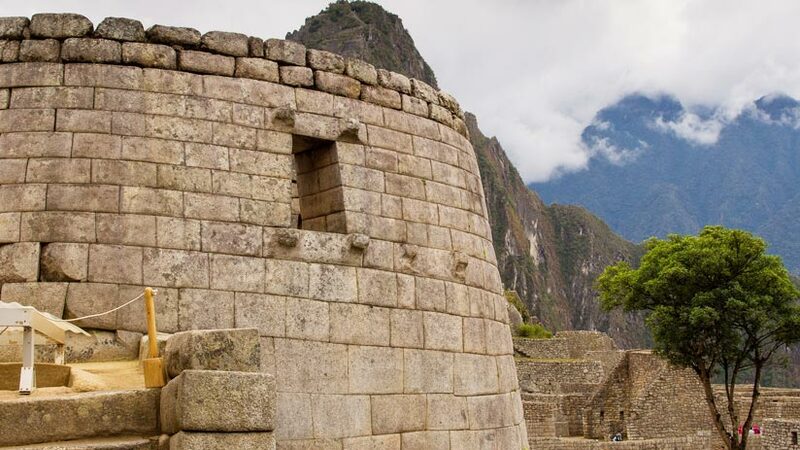 Pass some of the most spectacular mountain peaks in the Andes mountain range before arriving into Machu Picchu. Not only is there the Inca Trail tours to experience, there are many other treks that are worth your time like the Lares trek which also finishes in Machu Picchu, a more challenging trek this one if for the true trekkers among you. This is seven days of pure trekking but the mountain scenery will be worth the effort. 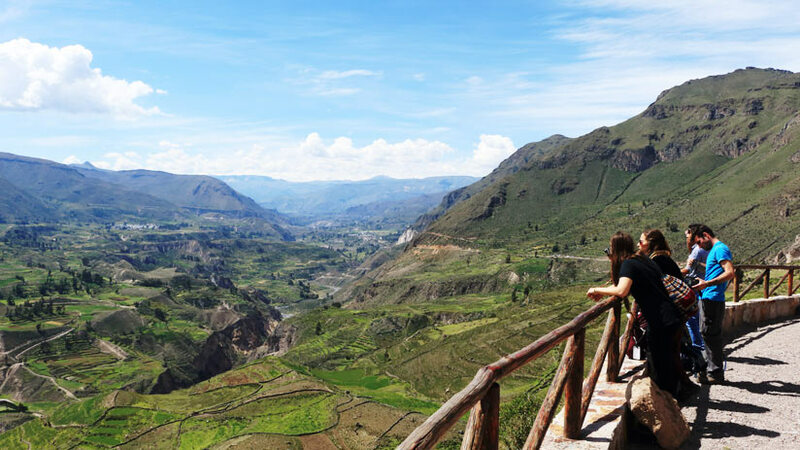 Close to Peru’s second city, Arequipa is one of the largest canyons in World, the Colca Canyon. Surrounded by the natural beauty and high Peaks of the Andes, the canyon features many treks, which you can do that will take you around three days. IF you think, going down into the base of the Canyon is hard work but wait until you have to climb back up. The scenery is spectacular, but the trail gets a little chilly so remember to take your woolies. The canyon is the best place to see condors in Peru in their natural environment. When viewing the canyon from one of the many viewpoints at the top of the Canyon the majestic birds will soar above, close enough to get some wonderful potos. In the center of the dry coastal desert in southern Peru is the small town of Nazca. There is not much too here except to enjoy the lovely dry climate by one of the many swimming pools in town and is a nice place for a break from your adventure travel in Peru. The thing that everybody comes to see here is the mystical Nazca Lines. 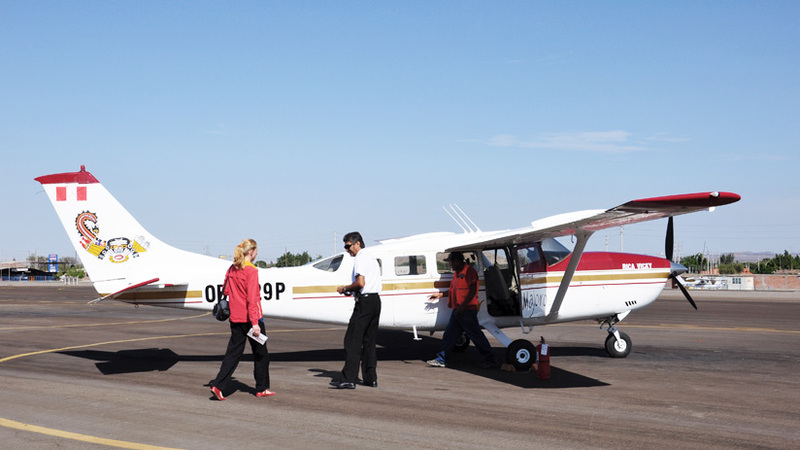 The best way to see the lines is by small aircraft; this way you will see, many of the lines and the pilot of the plane with point them out to you. This flight is not for the faint of heart as it dips and turns for everybody to get the best view, so do not eat breakfast before you go, as you will see it again. The Nazca Lines mystery continues to this day with scientist yet to discover who made the lines and for what purpose. 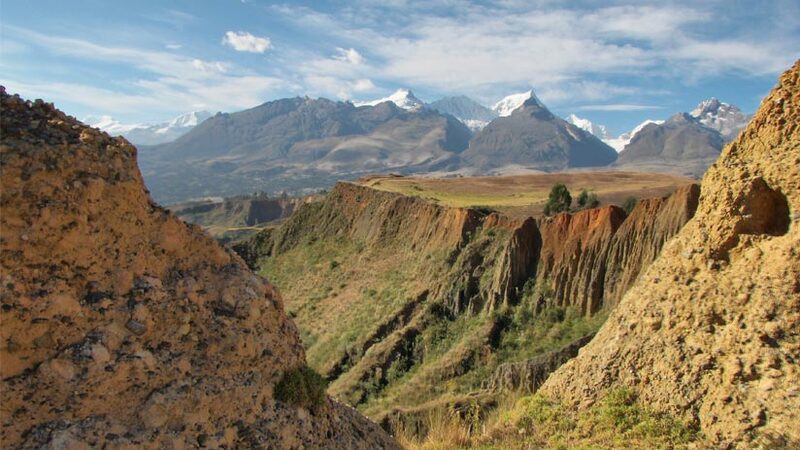 Travel inland from Lima in the Andes and you will arrive at Huaraz, famous all over the world as one of the best places in South America for mountain climbing. 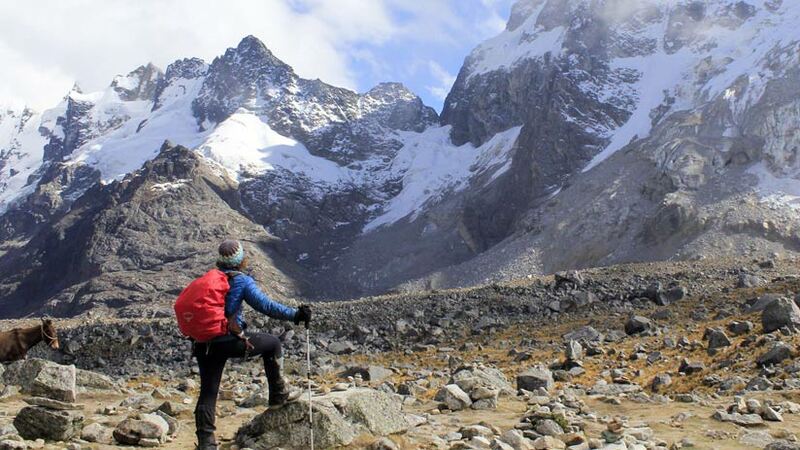 Located in the Andes, Huaraz has some of the best climbing peaks in South America. The natural beauty of Huaraz makes your climbing experience even more special. There are many companies in Peru that specialize in mountain climbing so do some research online. 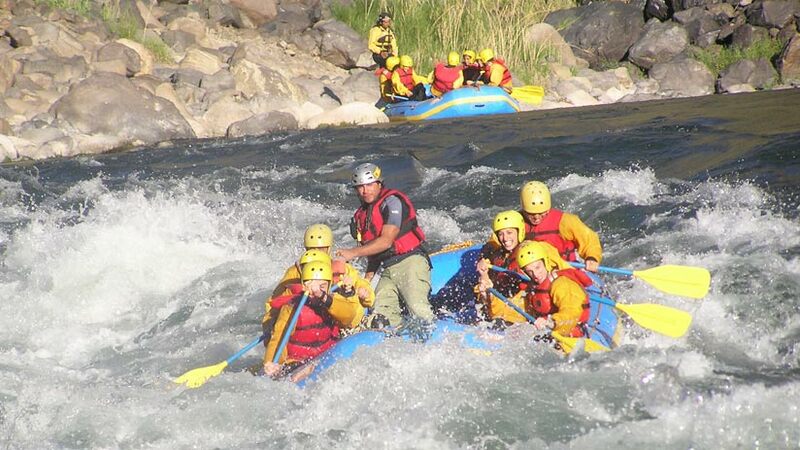 When visiting the Cusco region, travel to the Sacred Valley of the Incasand do some white water rafting, the rivers in the Valley are excellent for this adventure sport. Take a day tour from Cusco or do a three-day tour which will take you to several different rivers. This is one for the adrenaline junkies so take your sense of adventure with you. Peru tourist attractions are many and you will be spoilt for choice. While you are in Peru, you will not want to miss the Peru Amazon. The Amazon is not only for the adventure lovers but also the nature lovers, there are many different lodges to choose from, the luxurious and the budget friendly. 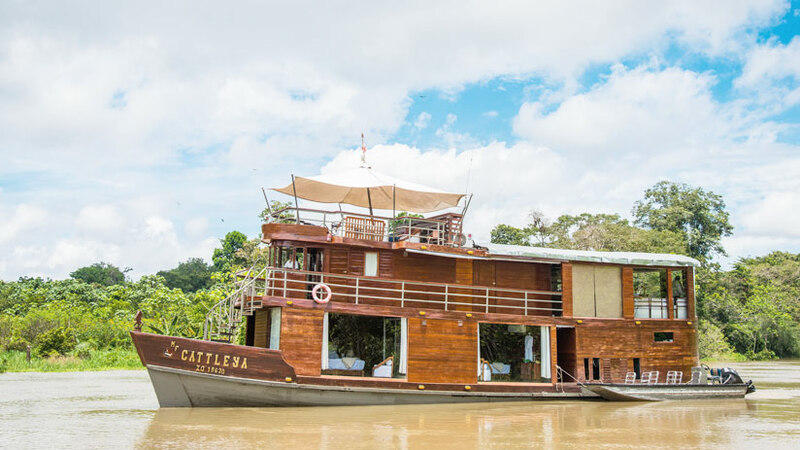 In the north of Peru in the town of Iquitos you can take a luxury cruise and watch the world pass you by from your luxury cruise ship. For you adventures holidays Peru, you will want to know what is the best time to travel to Peru, this is a great question. The answer is that no time is a bad time to travel to Peru, the Andean country has something for everyone at all times of the year, so what are you waiting for book your tour to Peru today. Travel to Amazon, Travel To Machu Picchu, Travel To Peru family vacations, travel to peru, treks. permalink.